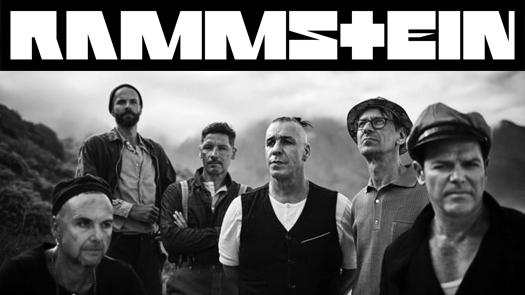 2019 marks a full decade since the release of Liebe Ist Für Alle Da, the last full-length album from German industrial/metal giants Rammstein, with the band having released the Made in Germany 1995-2011 compilation, the RAMMSTEIN:PARIS live album, and the XXI Klavier collection in the interim. Now with a new self-titled album reportedly due for release on May 17, Rammstein has revealed the album’s track list along with first single and music video, the track “Deutschland.” According to lead guitarist Richard Z. Kruspe, the group will be dropping a total of five music videos in support of the record, with this first one directed by Specter Berlin; the video features actress/model Ruby Commey in the role of “Germania,” with the band immersed in a plethora of elaborate and disparate scenarios, undoubtedly marking “Deutschland” as one of Rammstein’s most lavishly produced music videos yet. Rammstein will also be embarking on a European stadium tour, beginning on the album’s release date of May 17 in Gelsenkirchen, Germany and continuing until August 23 in Vienna, Austria; a full listing of tour dates can be found on the band’s website, with all but two of the dates already sold out.